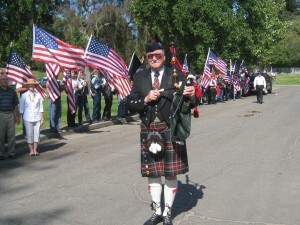 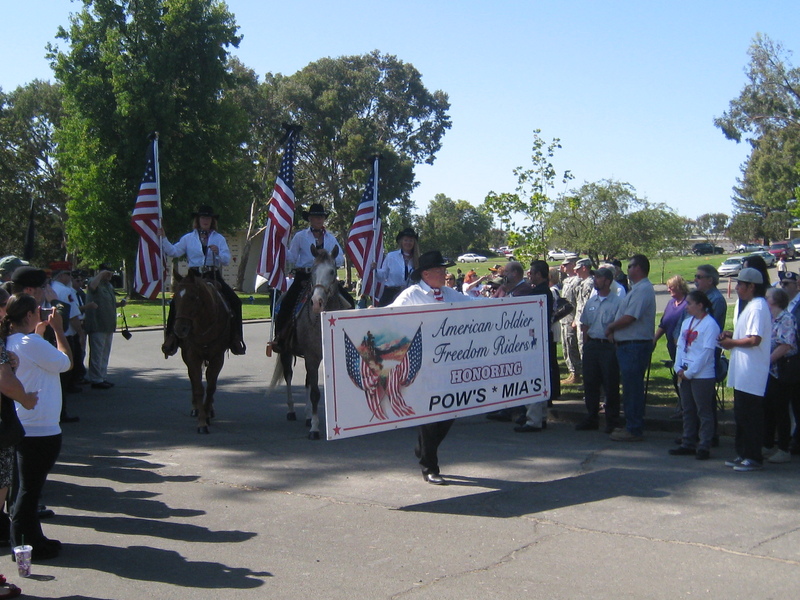 On Friday September 16th, 2011, Jean-Marie and Michael were special guests at a salute to POWs and MIAs at Santa Rosa Memorial Park, 1900 Franklin Avenue in Santa Rosa, CA. The ceremony started at 11 a.m., followed by a reception. The highlight of the ceremony was the unveiling of the new POW/MIA Memorial. 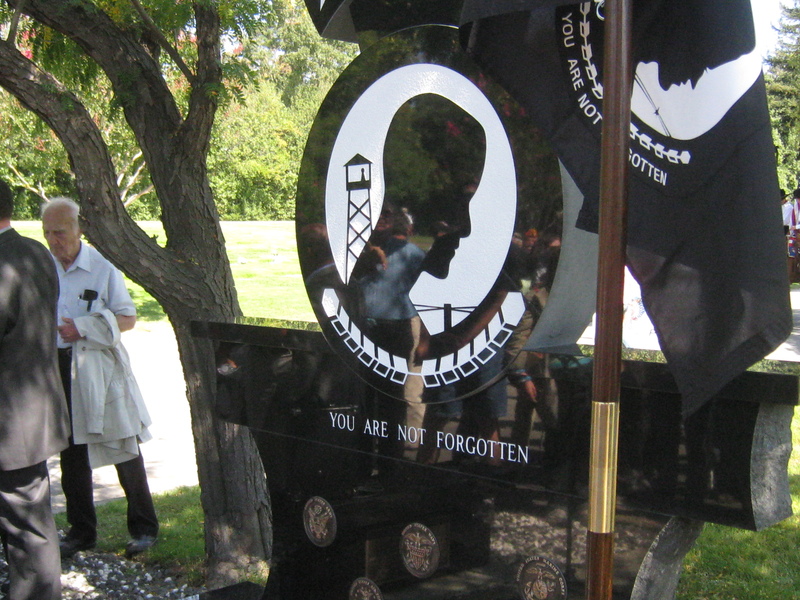 The American Soldier Freedom Riders begin the ceremony. Pipe Major Jim McElroy played the bagpipes during the ceremony. 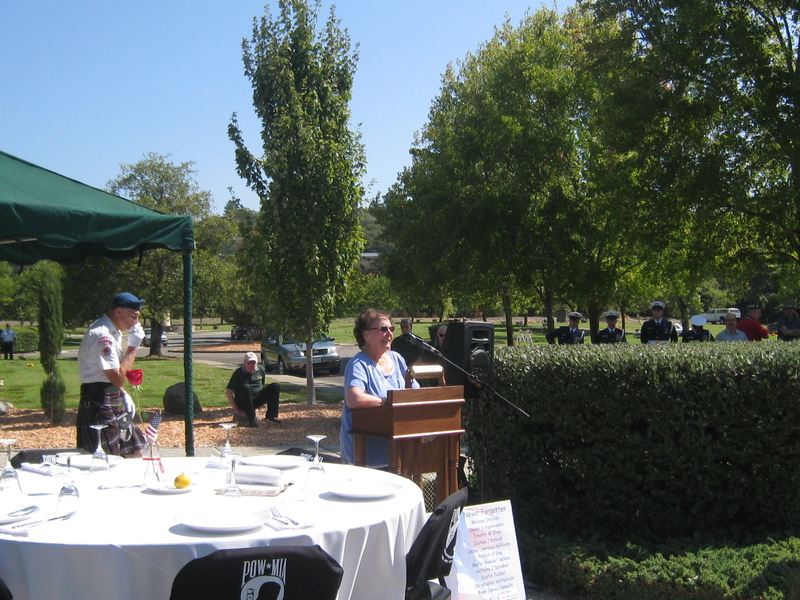 Jean-Marie speaks to the crowd about her experience as a civililian POW during WWII. 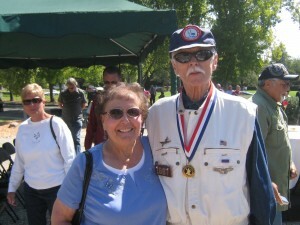 Jean-Marie with former WWII prisoner of war, Walter Huss. Walter was a gunner on a B-29 when it was shot down at the beginning of the war. He was taken captive by the Japanese and spent the duration of the war in a military POW camp. 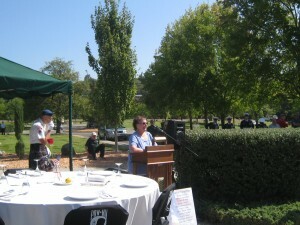 The new POW/MIA Memorial, unveiled during the ceremony on Friday September 16th, 2011, in Santa Rosa Memorial Park. 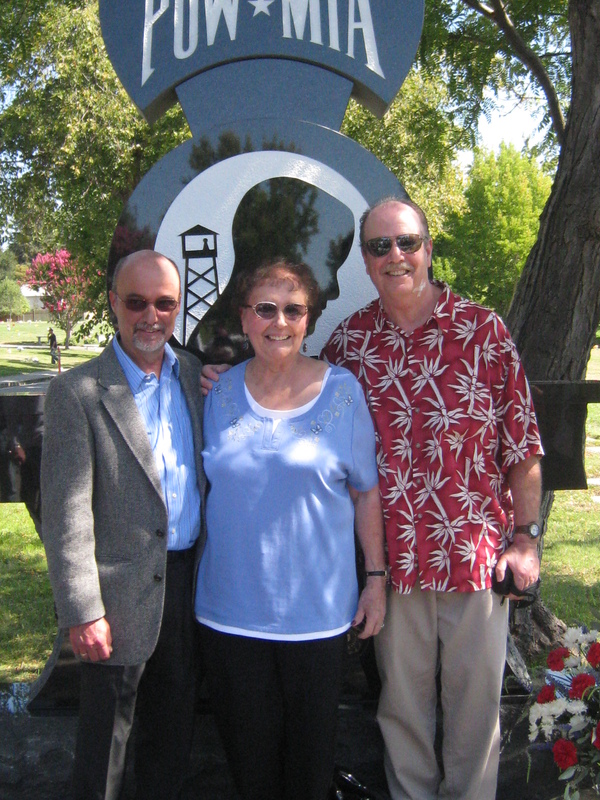 Jean-Marie and Michael with POW/MIA Memorial designer Tim Montesonti.